Paperless Recorder is a kind of data acquisition and display device. It can record measurement data (such as data from flow meter, pressure transmitters, RTD and thermocouples, level transmitters) over time. Some paperless graphic recorder is integrated into control systems. Paperless recorder can connect with upper PC via RS232 or RS 485, users can view the data through DATA MANAGEMENT SOFTWARE which is free cost from Silver Automation Instruments. However, people are more concerned about the price cost of paperless graphic recorders, and everyone wants to buy paperless recorders that are cheap and have very stable performance. Many factors determine the price of the industrial data recorders, such as the manufacture origin and famous brand, the number of channels input required, whether the screen is colored or monochrome, and the different functions required. 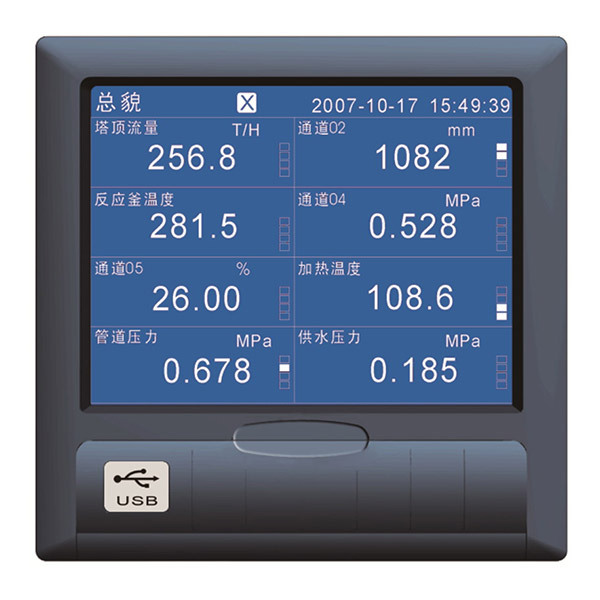 In general, international brand data recorders are very expensive, such as Honeywell, Yokogawa, Omega, Fuji, Eurotherm.,etc. These recorders origin are Taiwan, the United States, Japan, Germany and so on. The price of these paperless recorders is very expensive. The quality is very stable, but the price is very expensive. At present, paperless recorders made in Chinese factories are quietly emerging. Many customers have begun to purchase many graphic recorders made in China from the beginning of the trial order. The paperless recorders made in China are very advantageous in price and more powerful functions, such as Ethernet, printing functions, mathematical calculation functions, virtual computing functions. The number of channels is the biggest factor in determining the price. At present, the SX2000 series accepts up to 4 universal channels, and the price is very competitive. Our ST800 series color paperless graphic recorder accepts up to 48 channels, and the price is relatively high. Obviously, the price of monochrome recorders is generally higher than that of color screen paperless recorders. The SX2000 series and SX5000 series blue screen recorders sold by Silver Automation Instruments are competitively priced. The SX5000 series and SX6000 recorders have the same number of channels, but the price is quite different due to the screen color. Currently purchasing Silver Automation Instruments, we will be equipped with RS485 or RS232 ，USB interface as standard configuration. Other functions, such as CF interface and CF card, Ethernet function, mathematic function will be charged more prices. Welcome to send specific paperless recorder inquiry to us, we will choose the economic data logger device for you with stable performance and best price.